Our new project at Lechlade is now underway! The areas at the fronts of the properties are being marked out and prepped for the landscaping to begin. 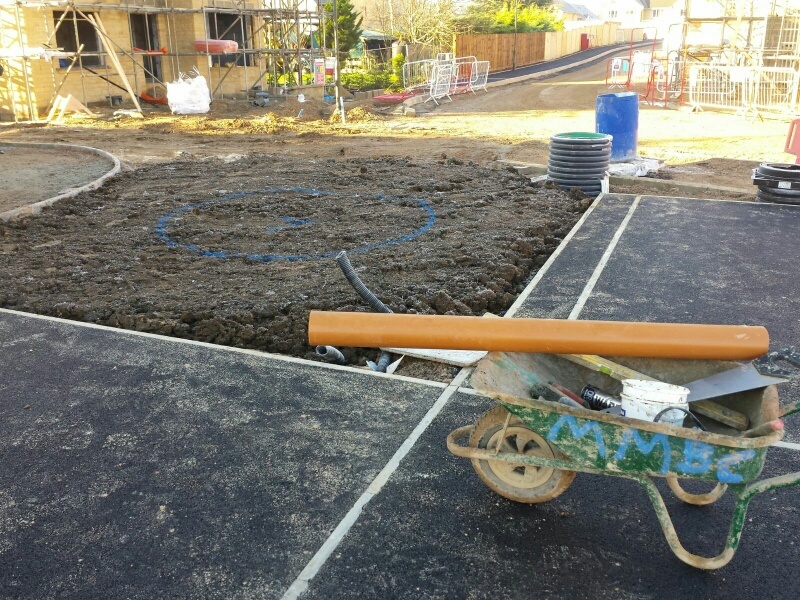 We have made a start on one of the back gardens too, with the first slabs of the patio being laid.